Lochearnhead is a small village with some 250 inhabitants at the head of Loch Earn. It is at the junction of a major route north from Glasgow and Stirling and an east/west route between Oban and the Isles to the west and Perth, Dundee and St Andrews in the east. This easterly route also brings traffic from Europe. Edinample Castle at the western end of Loch Earn is a reminder of times past. Built by ‘Black' Duncan of Glenorchy who is rumoured to have murdered his architect on completion of the project, it is a fine example of a 16 th century ‘tower house' and has a bottle dungeon. On the north shore at Leckine, there is a McLaren burial ground of the McLarens of Ardveich. 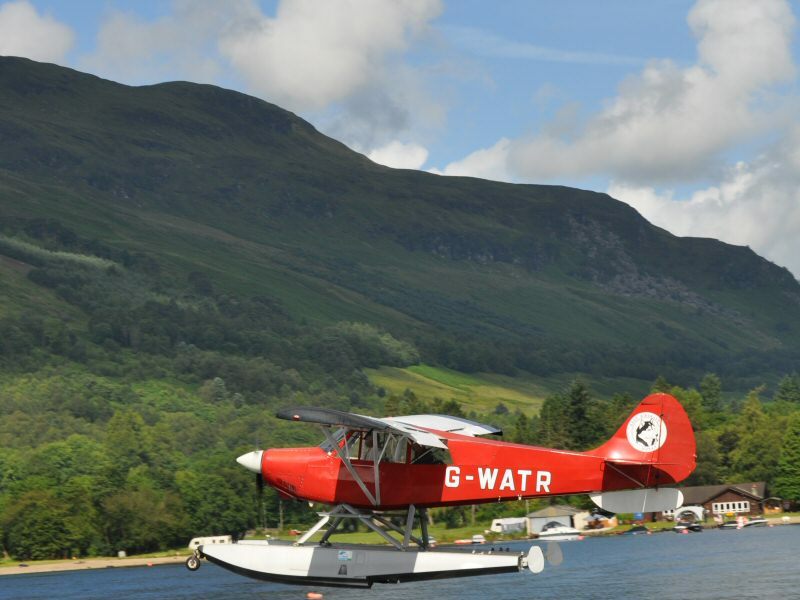 Ewen Cameron, the Scottish Highland Games Champion in 1953, was the proprietor of the Lochearnhead Hotel and he developed the Lochearnhead Watersport Centre as a centre for water-skiing. The first recorded water skiing was in 1955 when Ann Cameron was towed by her husband Ewen using a Chris Craft, the old rescue boat used by John Cobb on Loch Ness during his speed trials. Ann's ski was the bonnet of a Morris Minor 1000!! 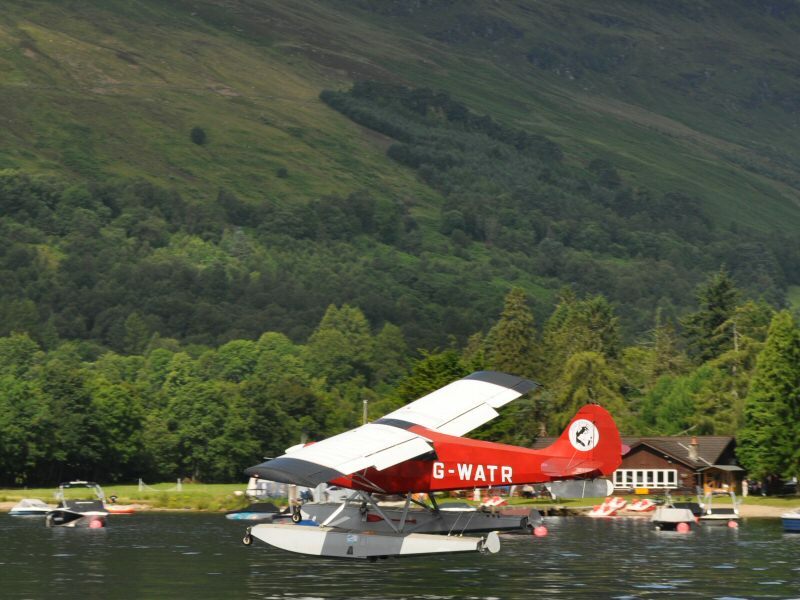 The Lochearnhead Watersports Centre offers a range of activities including water skiing, wakeboarding, kneeboarding and towables as well as an excellent and friendly café. Water skiing for the disabled is also available and encouraged. There are two good hotels with restaurants in Lochearnhead and a restaurant nearby at Balquhidder Station. Here as well is a campsite and caravan park with a farm shop. There are several B&B's and a good choice of self-catering establishments in the village. The Lochearnhead Games field is the site for some regular annual events. The first, held over a weekend normally at the end of June, is the Scottish Blackface Sheep Shearing Championship and this attracts shearers from all over the world with a lively ceilidh to follow. The next event is the Lochearnhead, Strathyre and Balquhidder Highland Games and it celebrated its 200 th Anniversary in 2007. With the McGregor and McLaren gathering, it is always a lively event and often blessed with fine weather. It is timed to coincide with the middle Saturday of the Glasgow Fair Fortnight in July. The final event is the Annual Village Fete run by the Village Hall Committee and is held on the last Sunday of the Scottish schools holiday.